Losing your car keys can be a very stressful moment for anyone. This is particularly true if you’re in a rush to go somewhere or you just want to get back home. Trying to get a replacement can also be a stressful (and expensive) task if you’re not prepared. This is why it’s so important to have a reliable car key replacement service in Melbourne. Before we start, if you’ve got access to your spare key, it can help to save you a lot of time and money during the entire process. So then, what are your options? 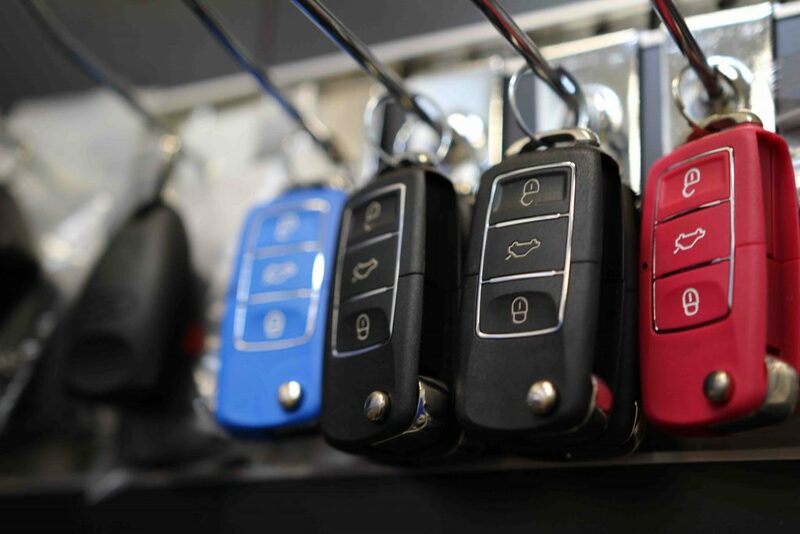 Generally speaking, you’ll have three options when it comes to car key replacements in Melbourne. Go through your dealership– this option is usually the most expensive one. Depending on the type of car you have, most dealerships will charge anywhere from $450 to $950 for a car key replacement. Go through a key bar or key cutting service in a shopping centre– this will probably be your cheapest option but there are some negatives. The majority of key bars won’t have the capabilities of providing a replacement for all keys. They are also not trained locksmiths which means you might find issues with the way the key will fit into the lock or the interaction between the computer chip in the key and your car’s ignition. Use a qualified locksmith– by heading to the professionals you can expect to pay around $120 for remote-less key replacement. If your key has a remote on it, then the price will vary from $250 to $450. The benefits of using a locksmith lie within their knowledge and experience with locks and security systems. They will ensure the key fits perfectly into the lock and ignition barrel as well as program it correctly to the cars security system. What’s involved in car key replacement services? Whenever you get your car key replaced, there will usually be three components to consider. Becoming aware of each component will help you to understand workmanship and pricing. The mechanical key blade– this is the physical key that goes into the door or ignition of the car. It’s extremely important that this key is cut correctly as any slight variations can cause expensive damages to your locks and ignition barrel. Where possible, we always ensure the key is cut in accordance to the dealer’s code. The microchip– as another form of security in your car’s locking system, the microchip will essentially ‘speak’ to your car. When you insert the key into the ignition, the car will first analyse the key and ensure that it matches the same system coding; if so, the car will start. This is why it’s important to make sure the right equipment has been used when looking for a car key replacement. The remote– The remote is separate to the microchip and also provides another layer of security. In order to have the remote communicate properly with the car, it’s essential to use a specialised OBD computer. All these above factors play a role in providing you with a reliable car key replacement. For that reason, we always recommend getting the job done right. Sometimes the cheapest option won’t be the cheapest one in the long run. At Five Star Locksmiths, we offer a 30-day guarantee on all workmanship. This means that if you encounter any issue with your replacement car key within that time, we’ll happily rectify the issue for you free of charge. If you’re looking for a Melbourne-based Master Locksmith to help you out with a car key replacement, please don’t hesitate in contacting our team today. You may leave us an enquiry HERE or call us on 1800 348 378. You can learn a little more about our Car Key Replacement Melbourne services on our website HERE.